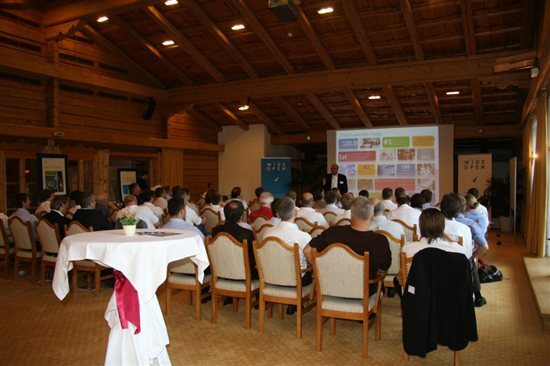 We’ve now finished Day One at the Dell Services Innovation Days, here in the Austrian Tyrol, where we are hosting more than 20 Dell Services customers including Audi AG, Bayer Healthcare AG, MAN Nutzfahrzeuge AG and Volkswagen AG. The day was packed with energy and finished with a rousing and thought-provoking motivational presentation from three-time referee of the Soccer World Cup, Dr. Markus Merk. 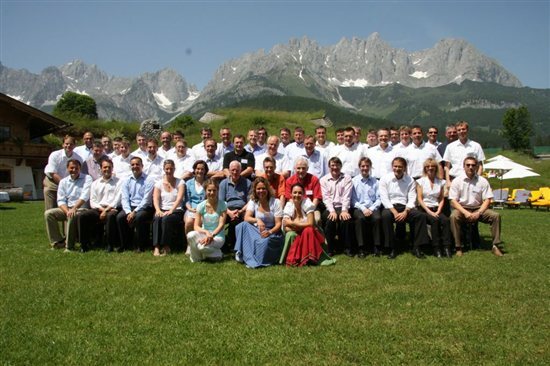 With good timing – this being the first day of the 2010 Soccer World Cup – Dr. Merk stressed the importance of high self motivation, being responsive and taking decisions, staying brave, and focusing on self improvement while also having fun. After a welcome address by Dell Services host Frank Klingelhoefer, Dell Services’ Vice President of Marketing, Atul Vohra and EMEA Director and General Manager for Commercial/LE Services, Eric Velfre talked about the depth of expertise Dell Services brings to the manufacturing industry and how that capability is a core element of Dell Services’ European strategy to deliver end-to-end, best value solutions for its customers. During his presentation, Herr Pauler from Daimler AG stressed the importance of maintaining a disciplined structure around IT to achieve 100% alignment to corporate priorities as Daimler continues to focus on its corporate heritage and core competencies. Dr. Herr from MAN Nutzfahrzeuge AG, talked about the changing landscape of IT competencies with increasing emphasis on business processes and less on IT infrastructure – the big challenge being to maintain a global standard methodology while using best-of-breed solutions. In a thought-proving session, Herr Faulbacher from Audi AG, talked about the shift in emphasis on Audi is making – moving IT from a cost to a profit centre. He talked about the importance of a new generation of in-car information systems capable of taking in-car information feeds from providers such as Google. Audi also brought the latest A8 to the event, demonstrating some of the new technology breakthroughs. The afternoon session included 6 workshops in parallel tracks with various customers of and thought leaders from Dell Services sharing experience in open discussion.